Our 60" Round Christmas Tree Skirts are 100% cotton and hand-quilted to skirt 6 Feet to 8 Feet high Christmas trees. 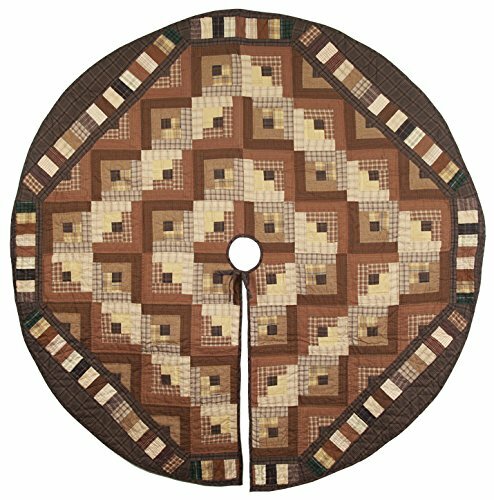 Made of Patchwork Brown Tone plaid fabrics, creating a Log Cabin design. Made of Patchwork Brown Tone plaid fabrics, creating a Log Cabin design. Our heirloom quality quilts have small patches and pieced together tightly to last after years of use. Machine Washable with mild detergent. Front load machine recommended.